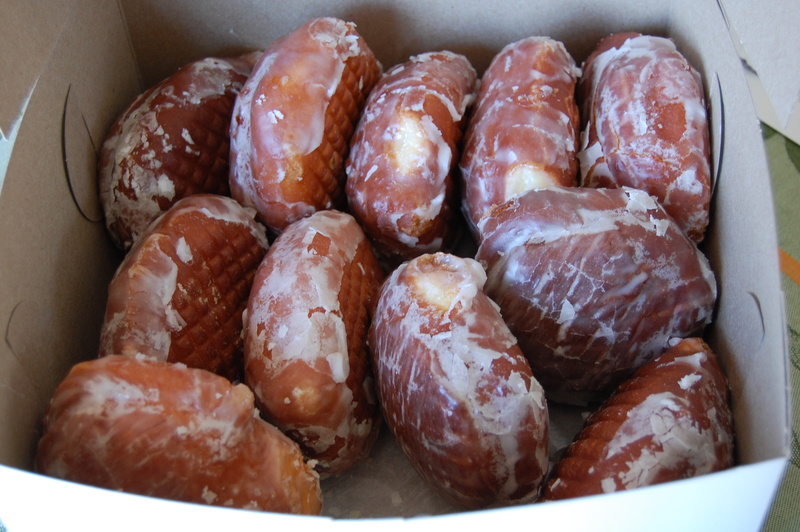 Today is Paczki Day! While other folks may be celebrating Mardi Gras or Carnivale, here in the Midwest we have Paczki Day. 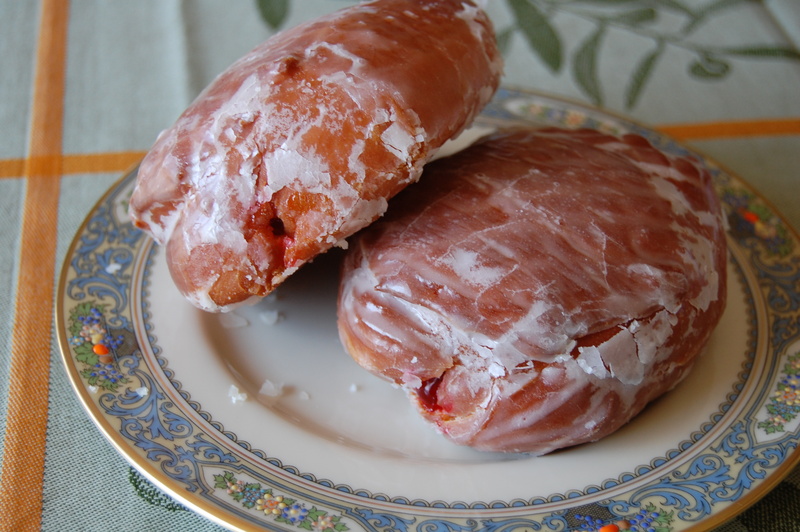 Well, it might not be particular to the Midwest, because if you live anywhere with a large Polish population, you probably know about Paczkis. But here in SE Michigan, we can’t get enough. According to AnnArbor.com, we here are crazy about paczkis and lead the nation in Google searches about Paczki Day. Personally, I never even heard of a paczki until I started living in Michigan. And thanks to the large Polish population in Hamtramck, MI (which is a city within Detroit), I am hooked! But, let me back up a little bit. Some of y’all might not know what a Paczki is. First of all, it’s pronounced POONCH-key or PUNCH-key. 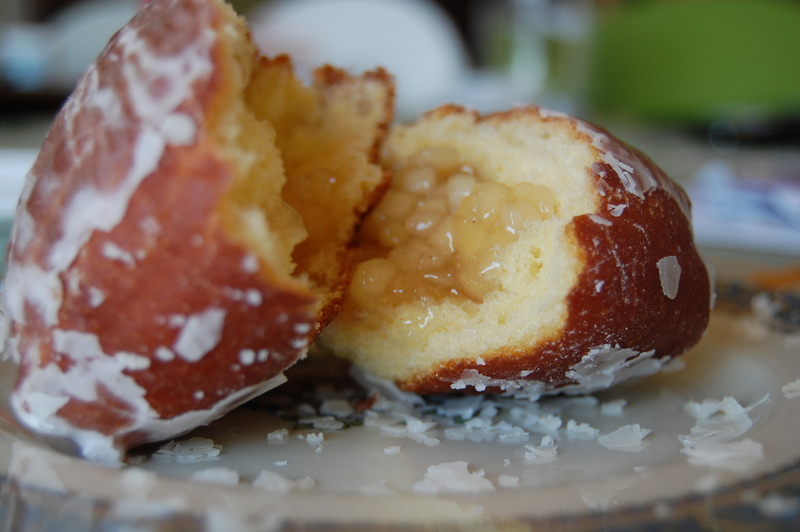 These are Polish jelly-filled donuts which are traditionally served the day before Lent, which is the 40 days of sacrifice and penance before Easter. They came about as a way to use up all the lard, butter, sugar, and eggs in the pantry, because if you do celebrate Lent, you won’t be using any of those ingredients for the next 5 1/2 weeks. So, much like Mardi Gras, paczkis are one last indulgence before 40 days of fasting. In the Ann Arbor / Ypsilanti area, probably all over Michigan, you can find local big box grocery stores stocked with them. I even found them as early as the first week of February. At places like these, you can find fillings like strawberry, lemon, or custard, but you probably won’t find the traditional flavors like prune or rosehip. Prune you’re more likely to find, but you have to work to find rosehip. Again, if you don’t know, rosehips are the fruit of the rose. When you leave the rose on the bush (particularly Rugosa roses) and allow it to wither, what eventually develops is a rosehip. They kinda look like those tiny tomatoes you find at the grocery, but on a rose bush. And in case you were wondering, they are very, very, very high in vitamin C.
There are several places around here where you can find some paczkis. All the big grocery stores have them — Kroger, Meijer, and Busch’s — and some other specialty establishments like Plum Market and the renowned Zingerman’s. 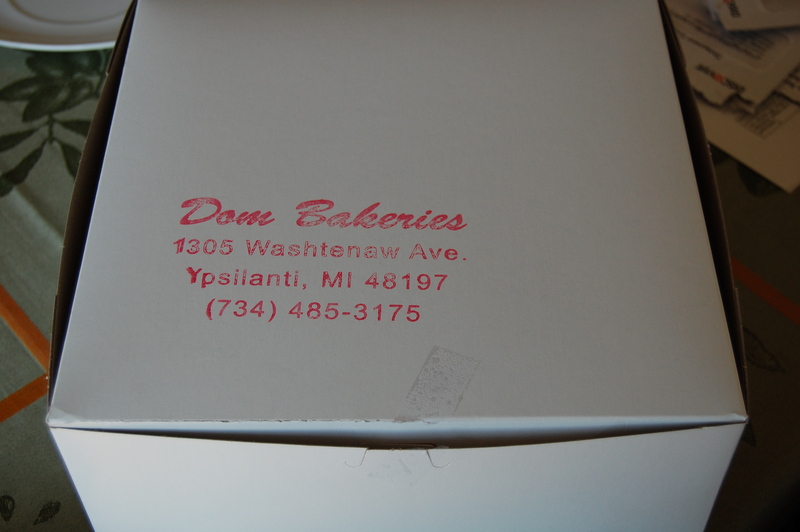 Normally, I go to Copernicus Deli (where you can find some rosehip), but this year I got my first sampling of the goods from Ypsilanti’s Dom Bakeries. They were already my favorite donut shop in town (their apple fritters are ridiculously good! ), but I never thought to stop in for some paczkis. But I’ll be heading to Copernicus this morning anyway to get some rose ones due to a special request from a Michigan ex-pat down in Key West. 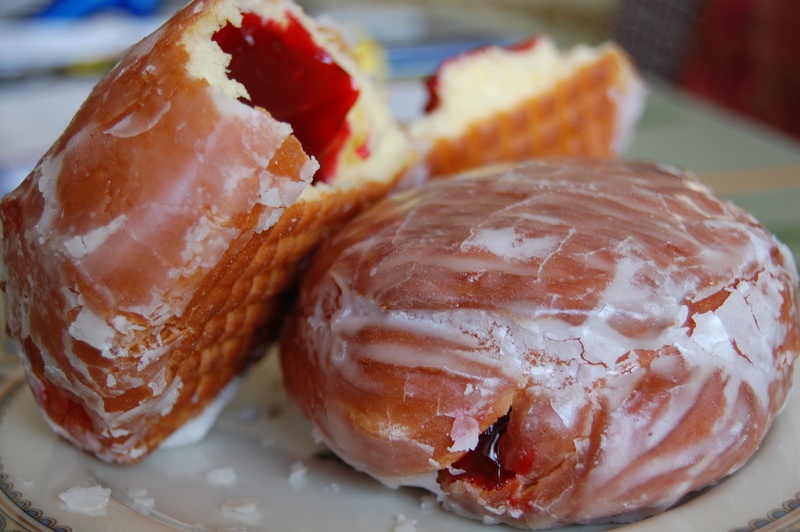 So, if you have a Polish neighborhood in town, be sure to go on a hunt for paczkis today. Better yet, make a trip down to Hamtramck, MI and participate in the festivities throughout the day (I really should work for the Michigan tourist board). Don’t deprive yourself of this yearly event of sweet, deep-fried culture. And be sure to visit me on Facebook — I’m up to 7 likes now! This entry was posted in Culture, Family Traditions, History, Holidays, Recipe, Restaurants and tagged Culture, Food, History, Holidays, Just for Fun, Recipes, Restaurants. Brooklyn wasn’t a hipster place when i lived there. Now it’s like a suburb! I didn’t know the name for these yummy pastries which I’ve had freshly made in a restaurant/bakery in a German/Polish/Czech area of Texas. Im glad to know officially what they are called. Love paczkis, it’s good to be Polish- I get to enjoy these bad boys year round in my neck of the woods! Ok, so I was totally thinking…what the heck is a pazkis? And then to find out it is another glorious form of a donut. It’s a done deal for me. Time to pack up and get moving to Michigan!